Whether you’re connecting within the U.S. or overseas, FiberLocator can help. 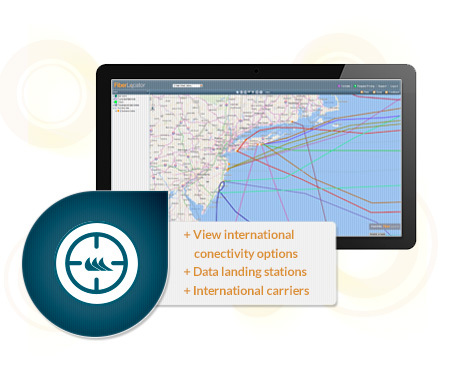 The FiberLocator data lineup includes submarine cable data as well as submarine network landing stations. With this data, clients can identify the location of an undersea cable landing station and provider as well as all the carriers that offer international connectivity from that station. In addition, FiberLocator lists the capacity of the submarine fiber and the initial date of service and/or age of the undersea cable for the best network planning information available. See a demo of FiberLocator’s submarine landing station and fiber data or request a snapshot of your desired locations today!